Metal Craft Dies, Reasonable Prices, Deco Mesh Wreaths, Custom Wreaths, Sports Wreaths, Flatback Pearls and Rhinestones, Brads, Cello Bags, Ribbon, Stick Pins and Accessories. A little bit of everything from embellishments to craft dies to home decor. 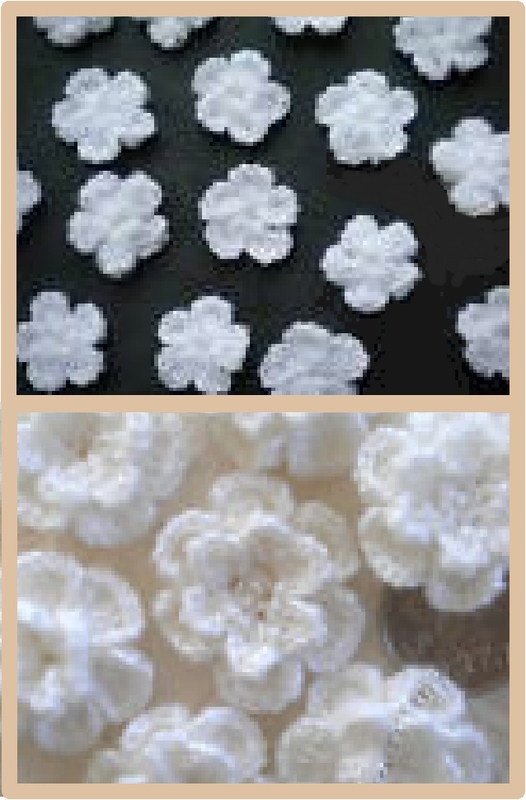 These handcrafted crocheted flowers measure about 3/4" across. 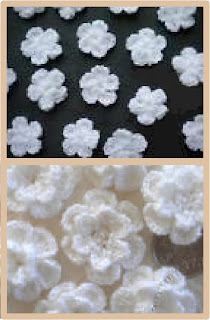 These white flowers can be colored with reinkers, markers, Copics, etc., to match your project colors. Note: Handcrafted items: Please appreciate that these are made by people, not machines. Small variations in size and shape are possible. I am always here to answer your questions to ensure you are choosing the right item for your project! these are gorgeous. you'll be hearing from me shortly.